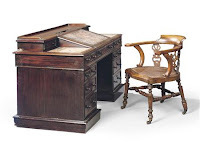 "The desk where Charles Dickens wrote Great Expectations and his final correspondence hours before his death (shown at left) will be sold at auction in June, according to Christie's. "The writing desk and chair from the study of his Gad's Hill residence near Rochester, Kent, was passed on by descent to Christopher Charles Dickens and his wife Jeanne-Marie Dickens. 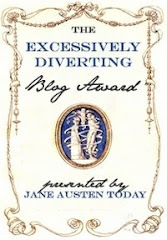 She then donated them to the Great Ormond Street children's hospital in London, with which Dickens had a close association, so that they could be sold to raise funds. "Dickens was an early patron of Great Ormond Street, and was a friend of its founder Charles West. The hospital also benefited from the support of other famous British authors including Peter Pan creator J.M. Barrie and Oscar Wilde. In its early years, Great Ormond Street would organise fundraising events including the Annual Festival Dinner, where Dickens and Wilde both spoke. "According to the hospital's Web site, it was an appearance by Dickens in 1858 that helped it overcome a funding crisis and expand its bed capacity to 75 from 20. "'We need to raise 50 million pounds every year to help provide world class care to very ill children and their families -- this gift will help us do that," says Charles Denton, executive director at the hospital children's charity. 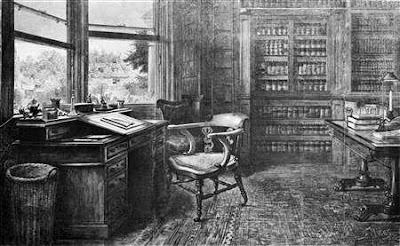 "According to Christie's, Dickens wrote Great Expectations and a number of other late novels and short stories at the mahogany writing desk (shown above in a contemporary illustration). 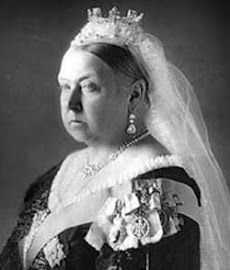 The auctioneer quotes the memoirs of Dickens' eldest daughter Mamie Dickens saying that on the evening of 8 June 1870, Dickens wrote letters 'and arranged some trifling business matters' in the library where the desk stood. He went for dinner and collapsed after suffering a stroke, and died the following day aged 58."